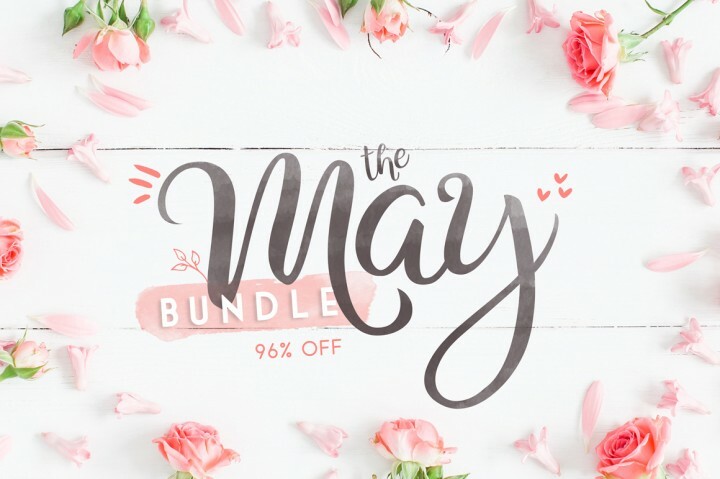 To celebrate the spirit of this glorious blooming month of May, FPTFY has teamed up with our good friend over at The Hungry Jpeg to bring you not only awesome freebies each week but also incredible savings for all you wonderful graphic lovers! This week’s freebie is a collection of fun pretty spring jar clip art! Check out all the amazing Bundles available right now! The Joanne Marie 65 Font Bundle just went live for only $19! And here’s a closer look at The Kooky Font Bundle! • To download today’ free spring jar clip at click here! As thou knowest not what is the way of the spirit, nor how the bones do grow in the womb of her that is with child: even so thou knowest not the works of God who maketh all. « Hooray for May Bundle and Free Cactus Doodles! Thank you so much for the lovely clipart!